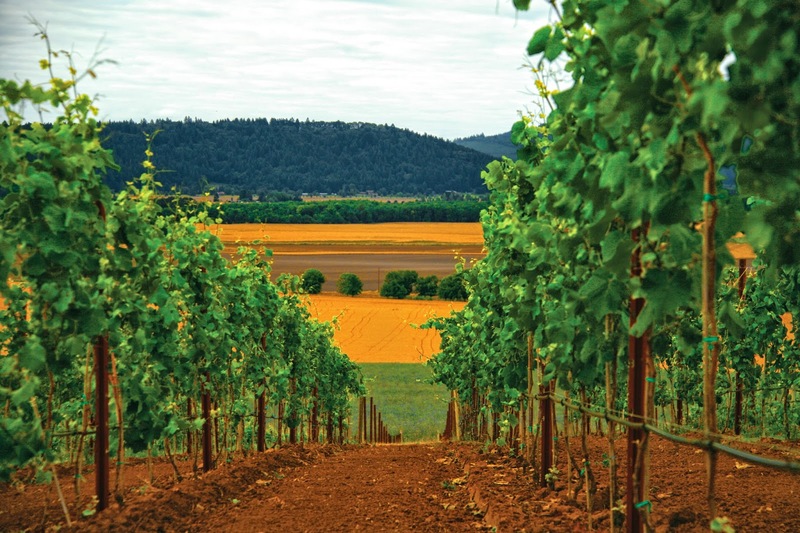 Vineyard: Summer is in full swing. 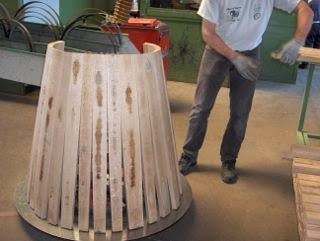 Leaf pull is complete to give extra airflow to the grapes. They are growing beautifully in this heat along with the extra gift of recent rains for our new vines. Luckily the hail a few days ago didn't do any damage. Besides the Pinots, the Muscat and the Albariño grapes look especially good. It's shaping up to be another awesome year! 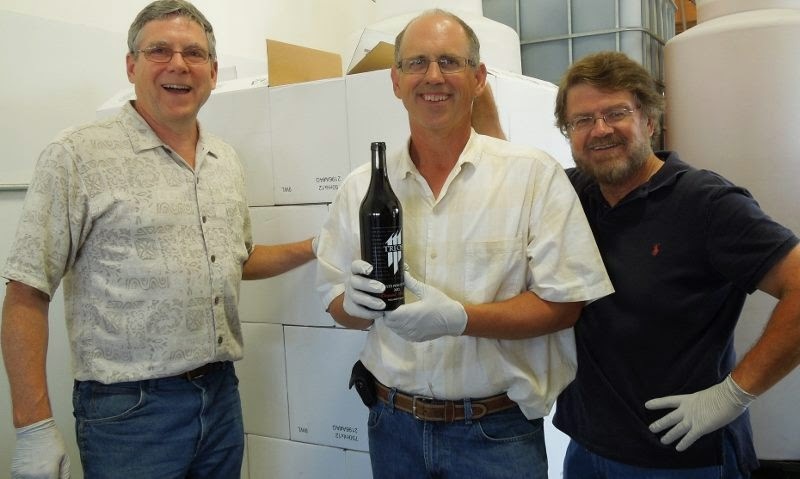 Winery: We just finished several very long days bottling the 2012 Pinot Noirs. My Oh My!! Are they luscious! 2012 is going to be a landmark year for Treos Pinot Noirs. They are excellent to drink now and yet will mature and become even more mellow and complex in the years to come. 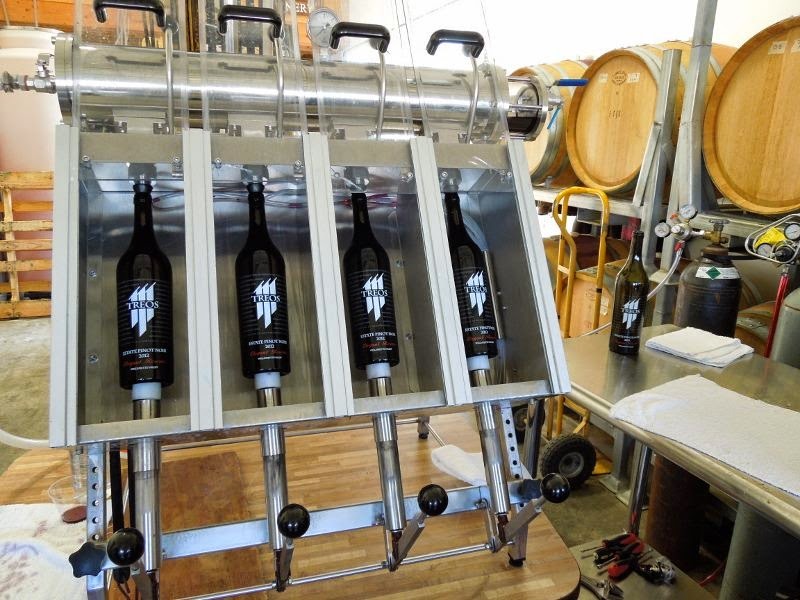 We bottle four bottles at a time. It can make for L O N G days! It makes for an impressive line up when they are all bottled and ready to go to a good home! 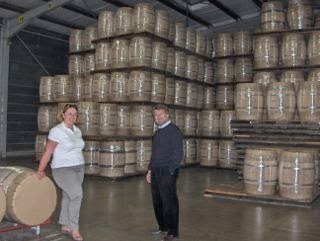 Treos partners Dave and Nickie recently visited the barrel maker that produces the barrels we use for our Pinot Noirs. Tonnellerie Sirugue is located in Nuits St. Georges in Burgundy and is widely recognized as a quality leader in the industry. 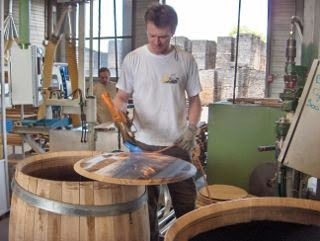 A small team of dedicated artisans handcraft 10-15 barrels per day using oaks from a variety of forests in France, including the Vosges and Allier forests from which our custom-made barrels are created. 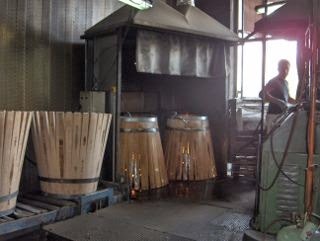 It was a real education literally walking through the process that turns "raw" 3-year aged oak boards into staves, and ultimately into fire toasted 60-gallon barrels. 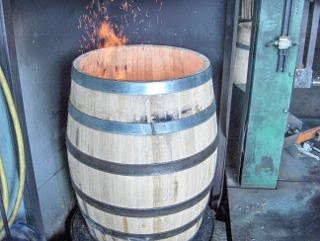 The level of attention, care and expertise that goes into the production of each barrel clearly demonstrates the passion for excellence that is the mission and hallmark of this boutique barrel maker. 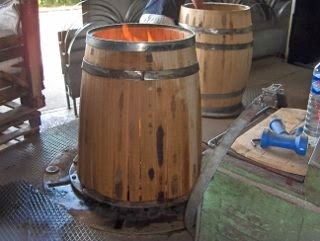 Overall, it was a wonderful and educational experience that will be in our memories each time we fill a barrel.